The very idea of their name is quite an interesting one. Think about it: Dead Fame. All things considered, fame is just another one of those things you won’t be taking with you when you’re gone and six feet under, though in some cases fame will certainly outlast a lifespan. For now, Dead Fame seems content to look for mortal love, and to my ears they’re more than ready for it. Richmond serves as the band’s home base, though their sound isn’t what you might expect from the city that’s got more of a penchant for metal and quirky indie. 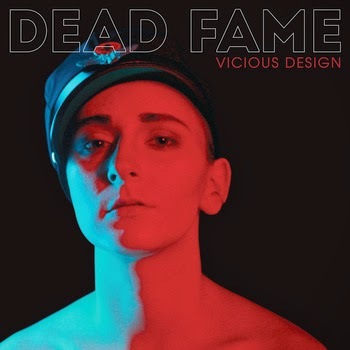 Instead, Dead Fame defiantly waves the flag for brooding, black-clad Brit-inspired synthpop. Decadent yet deconstructed, it’s a style they wear incredibly well. Their newest effort, the Vicious Design EP, is a deliciously dark, seriously danceable assault on the senses. Titillating with their knob-twiddling and taut, spiky riffs, the band is anchored by pitch-perfect and somewhat theatrically crooning vocals. These four songs would have been more than enough to make yours truly happy, but the band has included three remixes of “My Body, My Fool,” including an slinky, vaporous treatment by Xiu Xiu and a seriously club-ready interpretation courtesy of Nightstalker. This is a band that’s looking like they mean business. I’d strongly advise you to keep an eye on Dead Fame.